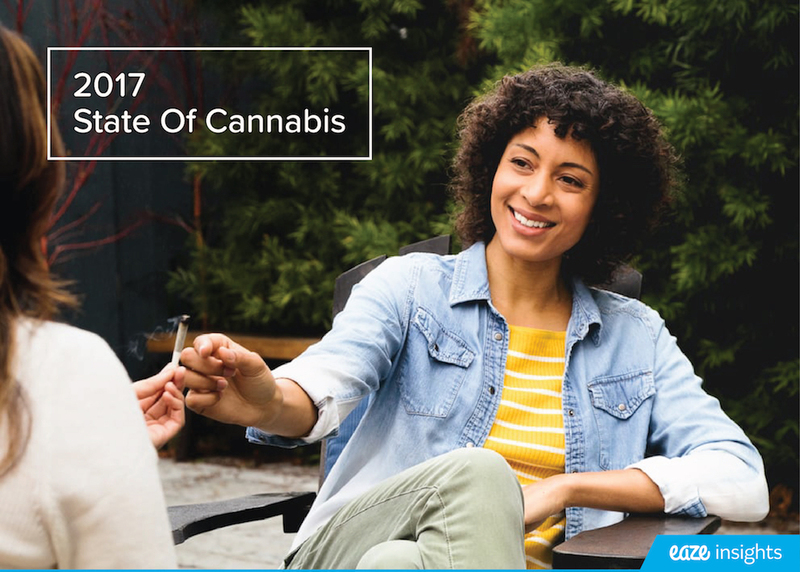 Following decades of stigmatization and prohibition, a new data report titled, Eaze Insights: State of Cannabis 2016, reveals that Californians are increasingly comfortable with marijuana use and are embracing its benefits. The new report released today by Eaze, the fastest growing marijuana technology company, draws insights from the user behavior of more than 250,000 patients across the state of California utilizing the platform. The report also includes survey responses from 5,000 Californians. Usage doubled over last year: In 2016, medical marijuana was ordered via the Eaze platform every 30 seconds, twice as often as in 2015. Vaporizers on the rise: In 2015, fewer than 5 percent of orders contained a vape cartridge. In 2016, that number increased to 20 percent, meaning 1 in 5 deliveries contains a vaping product. Meanwhile, traditional flower (dried marijuana plant) sales dropped from 80 percent to below 50 percent for the first time. Baby Boomers and women driving interest: Marijuana usage by Baby Boomers is up 25 percent from 2015. They also spent $185 a month on marijuana, more than any other age group. Marijuana use by women in all age groups, meanwhile, grew by 30 percent. Marijuana is the new glass of wine: Orders spiked nightly around 7 p.m. - about the time many typically open a bottle of wine - and more than 75 percent of people surveyed said that using marijuana has caused them to reduce their alcohol consumption. An alternative to addictive painkillers: Opioids have been a common method for pain management over the years, but the harmful side effects have people looking for alternative medicine. Out of consumers who've used opioids for pain management, 98% reported using less thanks to marijuana. "These data points all point to the same thing: the normalization and mainstream acceptance of marijuana use," said Jim Patterson, CEO of Eaze. "Americans are increasingly educated about the benefits of marijuana use, and as the industry continues to grow up and offer professional, easy-to-understand products, we expect that to continue. In 2017, we'll see the rise of products that are low barrier to entry, low dose, and designed to be used occasionally by professional, working people." This report is just one example of how Eaze uses its platform to uncover unique insights and help educate and inform the entire cannabis ecosystem. As the largest and most funded technology company in the medical cannabis industry, Eaze has access to an unprecedented amount of data. Eaze leverages that data to generate insights on patient demographics, preferences and behaviors that drive the industry forward. Other insights from the report include most popular marijuana strains, trends in different cities across the state and the impact marijuana use has had on lowering opioid and alcohol use. The full report can be found here. Eaze, the leading marijuana technology company, helps hundreds of thousands of cannabis consumers access cannabis more easily, quickly and professionally. 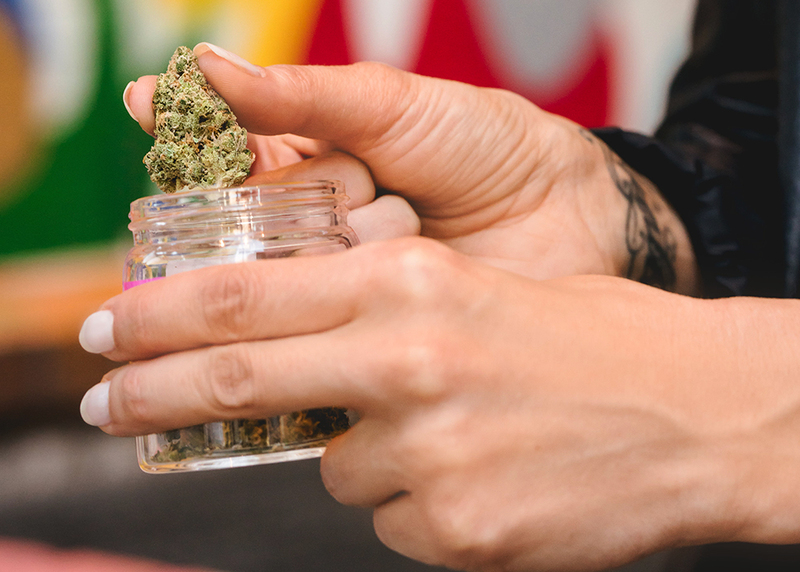 The company's leading technology connects patients to dispensaries for cannabis deliveries, which take less than 20 minutes on average. Through its EazeMD service, the company also connects patients to board certified doctors for online consultations. Given its scale, Eaze has access to unprecedented data regarding cannabis market trends and consumer preferences, which it provides to the entire ecosystem to help elevate the industry via Eaze Insights. Eaze was founded in 2014 and is active in more than 100 markets throughout California. Learn more at https://www.eaze.com.